A FANTASTIC STORY! I am such a huge fan of Month9Books. I think they were created just for me! 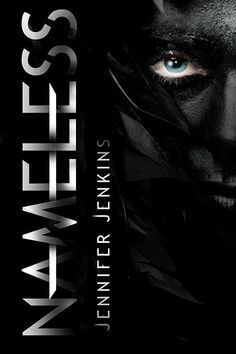 A wonderful lady told me that Nameless was her favorite, and she thought that I might just like it. Well, she was absolutely right with one minor exception. I LOVED it. Nameless is the story of Zo, a healer for the Wolf clan. She has suffered the loss of her parents, watched as her clan is killed off one by one, and she has finally had enough. She wants to be an active part of the clan, and volunteers to head into enemy territory, disguised as a Nameless healer, so that she might be able to gain information that can help her clan and many others finally defeat the fierce and terrible Ram clan. Zo knows this is a suicide mission, but she is prepared to die. Until she realizes that her little sister Tess has followed her through the Ram gates, and now she must do everything possible to make sure that her sister survives. I adored Zo from the beginning. She is a force to be reckoned with and an easy character to root for. She came into the Ram clan hating them with everything she had, and hating herself enough to want to die. But not without doing everything she could to help her clan in even the smallest of ways. She is constantly thinking of Tess, her sister, and how to protect her and still do the job she came to do. She meets a young boy, Joshua, and he becomes her strongest ally. And Gryphon, her reluctant protector. Somehow, they each form relationships with each other, despite the hatred they have felt since childhood. Joshua is a bundle of energy, and he truly cares for Zo. He watches her back, and defends her. He cares for her, and it is a sweet relationship to watch develop. Gryphon on the other hand mistrusts her, and hates that he has somehow become the one to keep her safe. Slowly, he starts to realize that she is more than a Wolf, his enemy. He realizes how strong and capable she is, how stoic and yet how broken and breakable she is, and the reluctance fades. There is a war inside of him, and he doesn't honestly know which side will win. The honor of being a hero in his Clan? Or will the side that Zo has shown him prevail? From the start of the story until the very last page, Jennifer Jenkins took me on an emotional ride. Through action, and heartbreak, and healing and relationships forming out of hatred and mistrust, she has created a story of hope and faith and choosing how you want to live your life, and the beliefs that you want to hold, regardless of others around you. Of fighting like hell for the people that you love, and risking everything to do whats right.The last few chapters of the story will have you on the edge of your seat, barely breathing. Anger and fear, doubt and hope, and and an ending that will leave you full of questions, Nameless is nothing short of perfection. I hope that every one of you who reads this review will go right now and read it for yourself. As a certain someone told me, I think you might just like it!